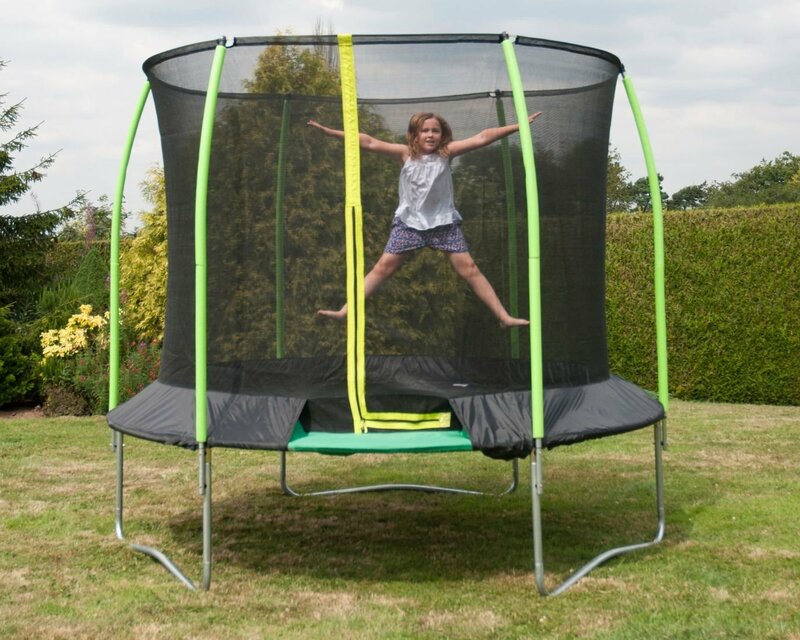 Strong galvanised steel frame, perfect for vigorous trampolining. The padded frame top rail of the SurroundSafe® design is another safety plus. UV stabilised jumping mat. Rigid top ring design helps maintain the shape of the trampoline. Excellent bounce performance from responsive springs. 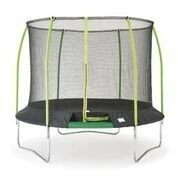 Zip Entry/Exit door-open and close from inside the trampoline as well as the outside. Cover, Ladder and Anchor Kit are available to purchase separately. Write a review about "TP 10ft Challenger Trampoline"
We'd love to hear your opinion! 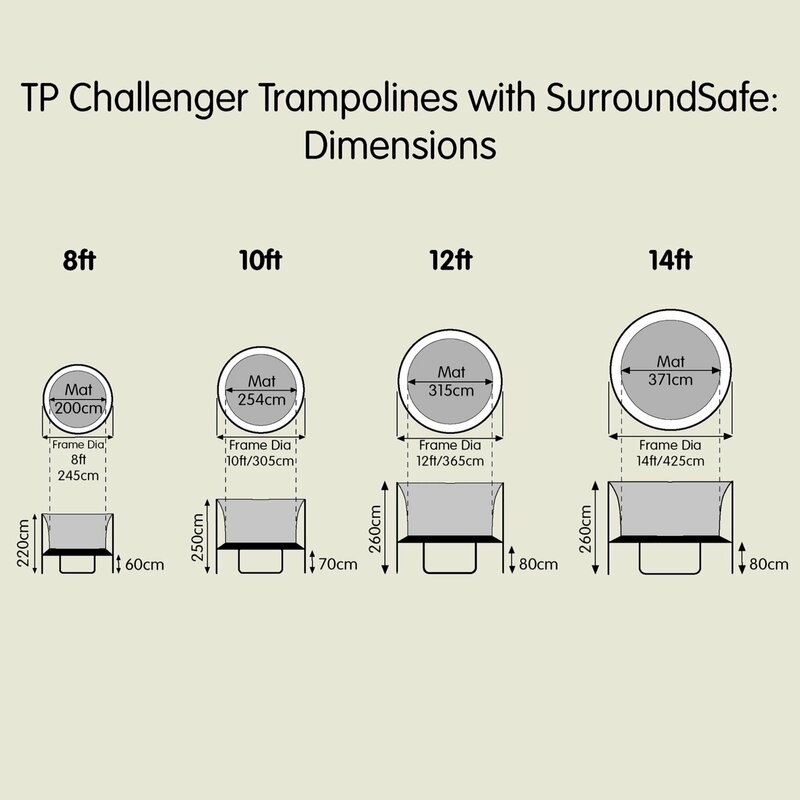 Write a review on “TP 10ft Challenger Trampoline” today.